Green waste is a common by-product of our everyday work. Whether we have carried out a large job such as a tree felling or a smaller tree stump removal job there is always some waste. Green waste recycling is therefore something that we know a lot about. At Bardsey Tree Services we are proud to say that we recycle 100% of our green waste. Green waste is essentially everything that is left over from pruning, felling and trimming during tree surgery. It is a biodegradable waste. As mentioned, green waste is biodegradable, which means it can be broken down into its base compounds by other organisms and living things. It can therefore be incredibly useful for the ecosystem, and so it shouldn’t be left to rot in landfills. 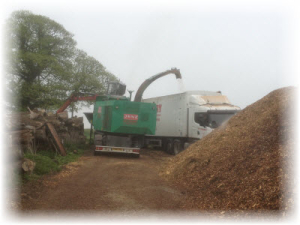 When we have carried out a tree clearance job we would use the timber to create firewood logs and then the waste wood is then reduced to create biomass fuel for the power stations.